In all honesty I'm not sure why I'm bothering to sit down and write an entire post about the Laundrette Newcastle. I'm convinced that all I really need to do is bellow "COCKTAILS AND CARBS" at you and you'll all be grabbing your coats and heading out the door before you've had time to finish this blog post. Guys, the Laundrette really doesn't need any fancy words or beautiful photographs from me, they are one of the most exciting new restaurants and bars to launch in Newcastle this year and with the promise of plates full of stodge and full cocktail glasses just in time for the cold dark evenings, well I hardly need to tell you twice do I? 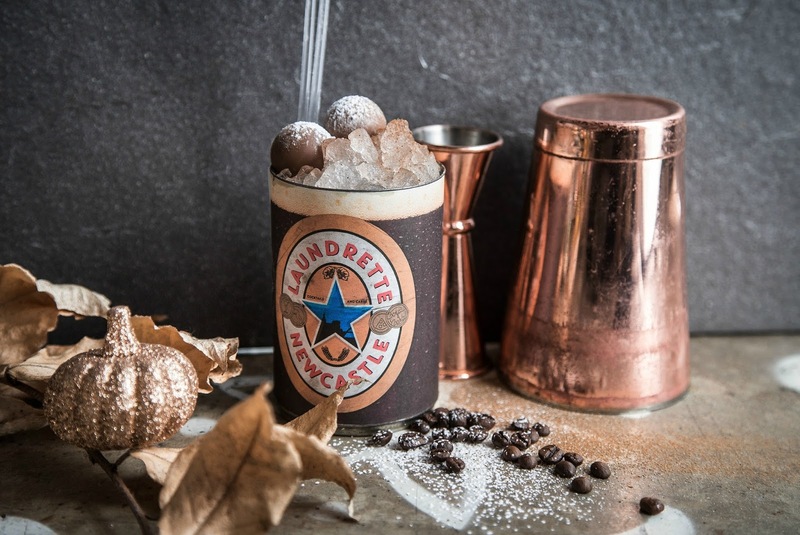 The Laundrette opened earlier this month and is a very exciting new venue for Newcastle as it's one of only three in the country (yes, Newcastle we really are that special!) 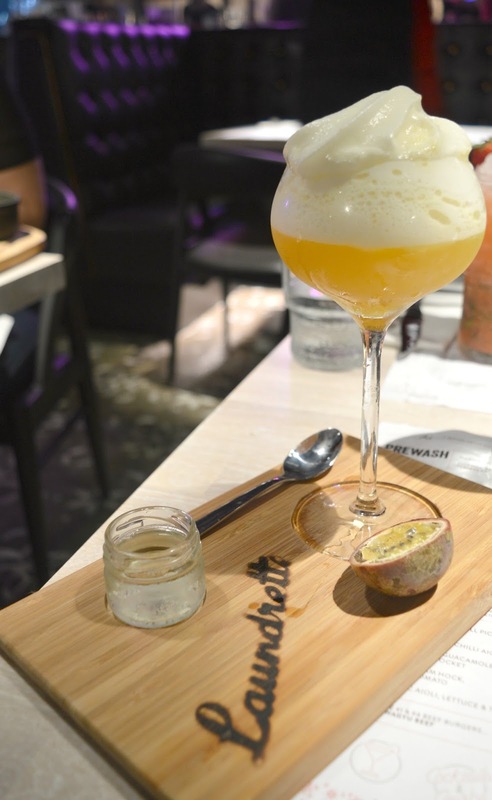 - with a passion for high quality cocktails and carbs, their motto is "eating is treating" and as that's pretty much how I live my life this restaurant was high on my list to try as soon as I first heard about their opening. The Laundrette began life in Manchester, opening up on (you guessed right!) 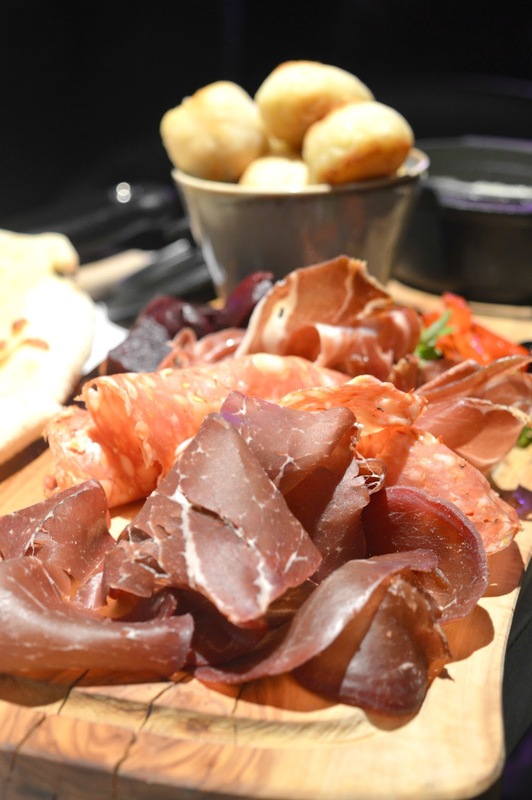 the site of an old Laundrette and has been a huge hit with food lovers across the North West. Something tells me it's going to feel very much at home in the North East. 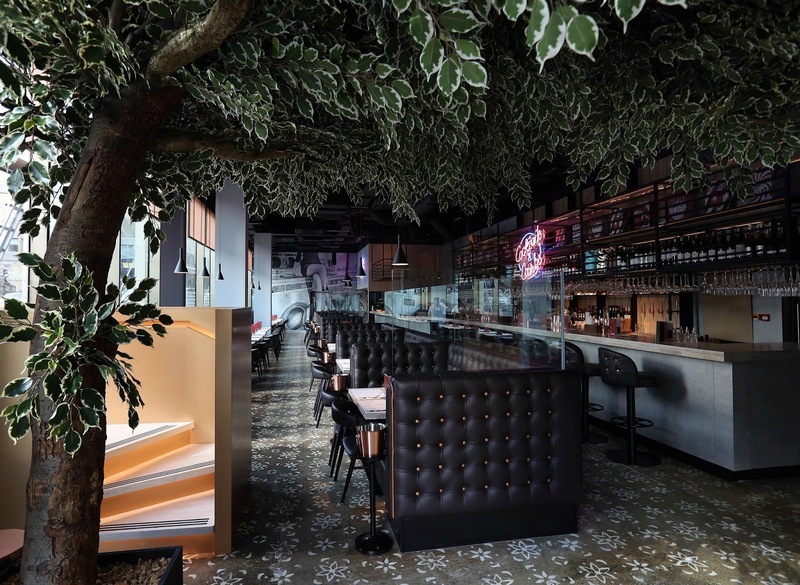 With its amazing neon "cocktails and carbs" sign hanging over the bar, the tongue in cheek "drop your pants" sign above the loo and its indoor tree - it is Instagram gold and the place to be seen this Autumn. With a breakfast menu to die for (think pancake stacks, french toast and bloody marys! 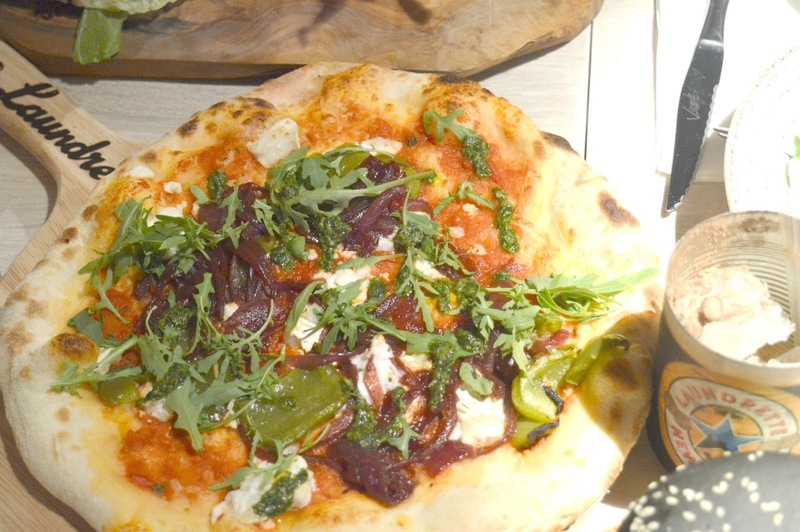 ), a main menu packed full of all your favourite carbs (pizza, burgers .. mac n cheese!) 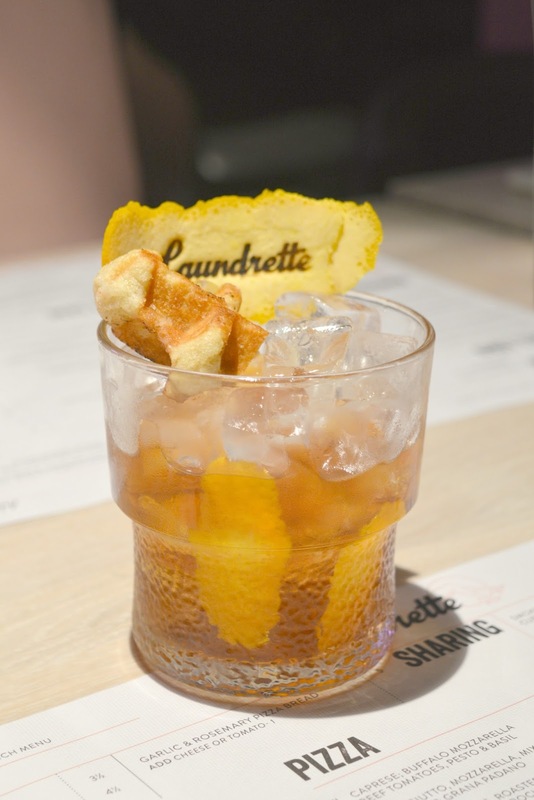 and jaw dropping cocktails, something tells me I'll be spending a lot of time in The Laundrette! My first visit last week was an epic evening of food covered tables with my favourite ladies which is definitely the best way to enjoy The Laundrette. If you don't leave feeling shamefully full you are probably doing something wrong. 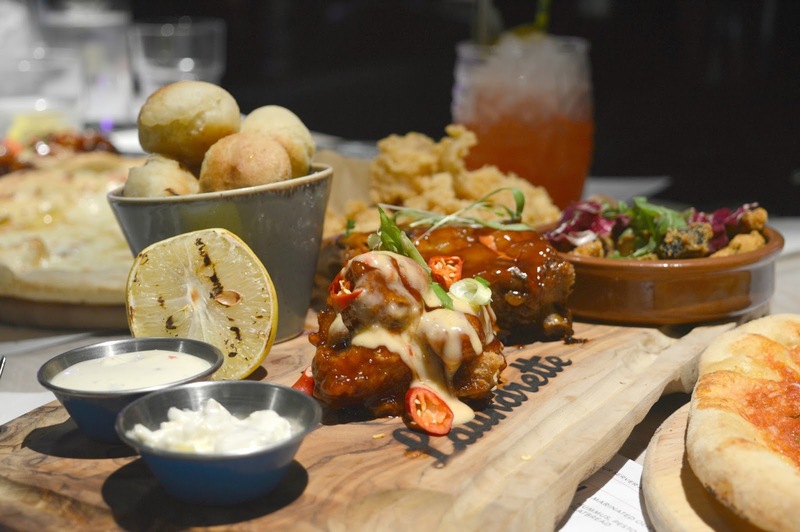 Leave the diets at the door and settle yourself down for an indulgent feast - over order, wear your stretchy pants and go with your favourite foodie friends. The Laundrette is proper undo your top button and roll your sleeves up type food, my favourite! Between us we worked our way through a good amount of the cocktail menu and with each glass more over top than the last I will most certainly be drinking my way through the entire menu over the coming months. Portobello Road Gin, Lanique Rose Vodka, Apricot, Rhubarb Bitters and Whites served with a Pink Fizz Chaser. This beauty turned up on a Laundrette board and looked so cute with its garnish of pink candy hearts. It tasted delicious and was probably my favourite of the night! 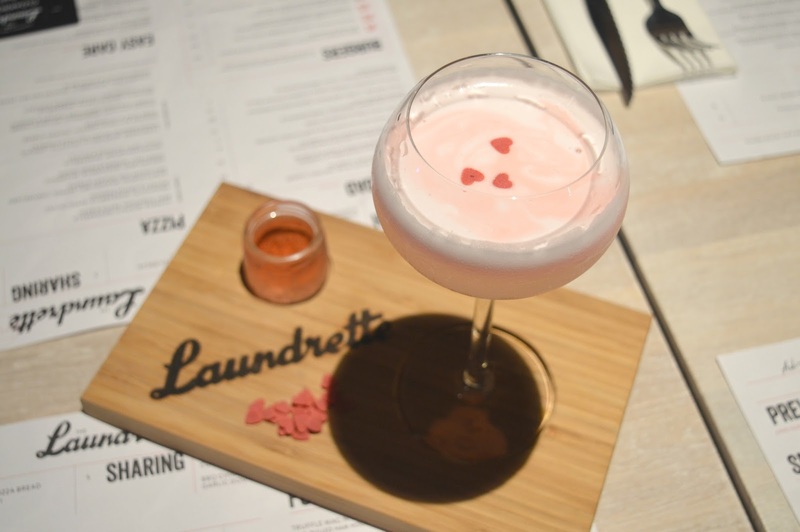 A Pornstar Martini is one of my favourites and the Laundrette's twist on the classic is something very special! Just look at that frothy top and the cute shot of Prosecco! When Simon saw a photo of this pop up on my twitter page during my visit he text me immediately telling me that he had to try this! As a fan of old fashioned and waffles it's a match made in heaven! 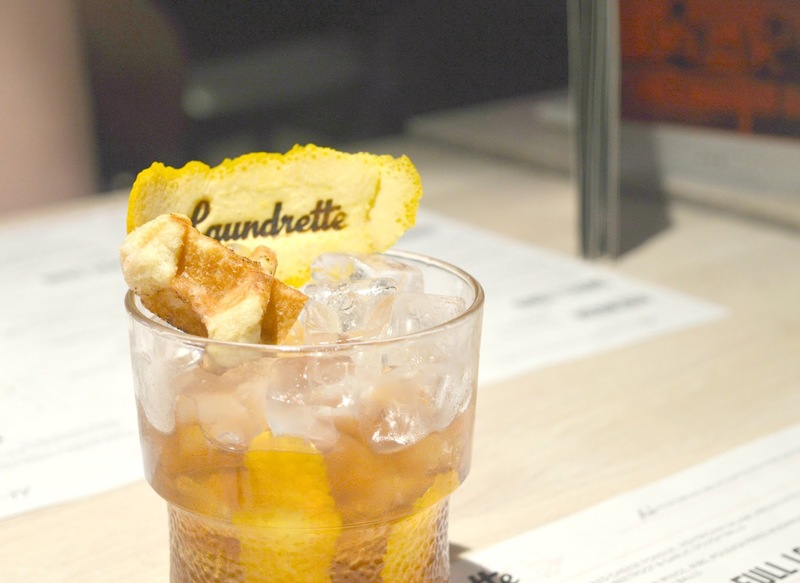 You may have seen the buzz on social media that there are two locally inspired cocktails to order at The Laundrette. Toon Tipple is a twist on an Espresso Martini featuring Newcastle Brown Ale shaken with rum and chocolate liqueur served over ice. 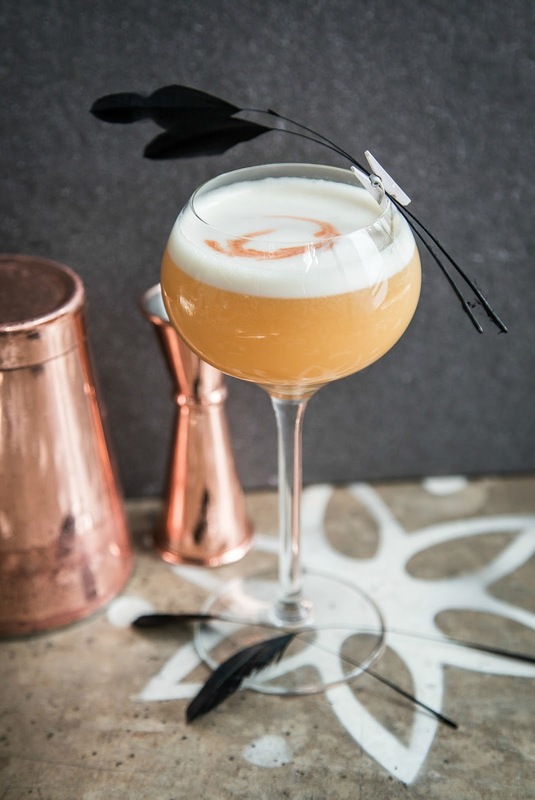 I helped myself to several of these bad boys during my visit and they are absolute heaven - we are so lucky to have our very own delicious Geordie cocktail! The second Geordie cocktail is Two for Joy (£8.50) a beautiful mix of Gin Mare, Elderflower liqueur and mango & saffron honey garnished with black feathers as a little nod to the Toon's Magpies. I've not tried this one yet but it's top on my list for the next visit. Check out the full cocktail list here! If you think the cocktails have the wow factor just wait until you see the food! The menu has everything you could possibly desire! 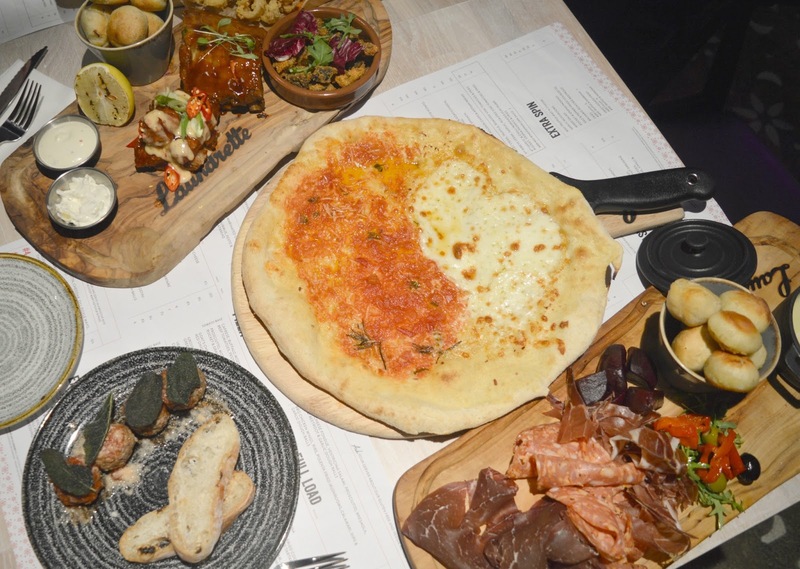 Check out the full food menu here! The Laundrette is a big, bad and in your face night of indulgence! So grab your nearest and dearest, wear something stretchy and get yourself down there before you're the last to the party! For more food adventures from New Girl in Toon check out my Facebook and Instagram where you'll find daily inspiration of the greatest places in the North East to eat! 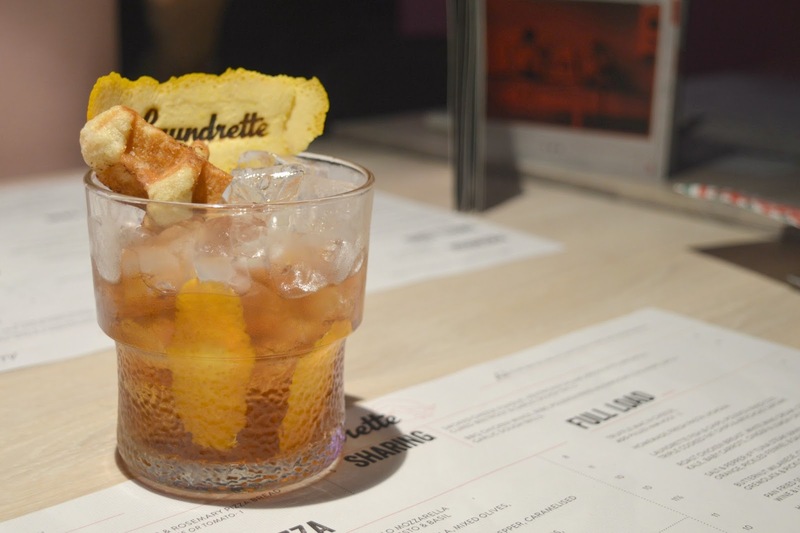 We were treated to a complimentary night of cocktails and carbs at The Laundrette! All thoughts are my own and I enjoyed it so much I'm heading back there this weekend to spend my dosh on some of those beautiful cocktails! Agh I’m kicking myself I didn’t come to the launch now. It looks awesome. The Geordie cocktails are so clever. I love that they are paying tribute to the city and have clearly done their research. Ah man, this looks absolutely blooming amazing and it's probably a good thing I wasn't invited, clearly they'd had a memo which said "If you invite this woman, she will eat everything". I'm going to have to take my daughters! Oh I love that they serve pancakes for breakfast - we'll be trying them out soon I think! Oh well that's just the perfect evening! Oh my goodness, everything looks incredible!